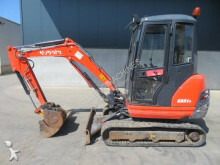 Kubota is a Japanese company born in 1890. It is first known for the manufacturing of iron pipes. It fast became one of the most important material manufacturer for different sectors of the industry. At first, Kubota manufactures farming machines and green space maintenance equipment : farming tractors, combine harvester, or mower. 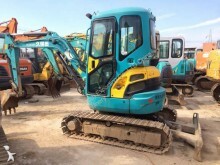 It also becomes a specialist in construction machines manufacturing : midi-excavator, compact loader, skid steer loader, wheel loaders or mini-excavator. 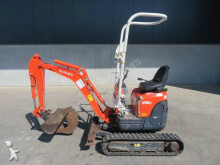 Kubota is now a reference in the production and sale of mini excavators in the world. 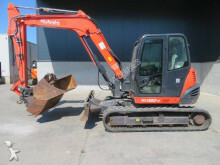 The Kubota engineers have also developped several technologies for construction machines such as engineo, an anti-theft system, an auto-idling system or the Ecoplus system. All these innovations are made to render the Kubota materials more and more performing while being environmentally responsible. 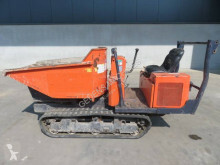 If you are looking for construction machines or materials or even spare parts from Kubota, Europe-construction-equipment.com helps you find, with precise criteria, all the classified ads matching your search. 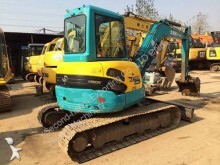 Find the available materials and machines from Kubota : track excavator, rail/road excavator, wheel excavator, wheel loader, mini loader, track dumper, mini dumper, etc.